Last weekend we went out flying. Yes, flying with a quadcopter, a model aircraft Peter bought for work. The quadcopter is equipped with a camera and is going to be employed to fly over fields to give an overview of crops. First we spent the morning at home searching the net for instructions, and thanks to Youtube we found really good videos how to get the software working and the aircraft started. Then we drove outside town to a field far away from buildings. 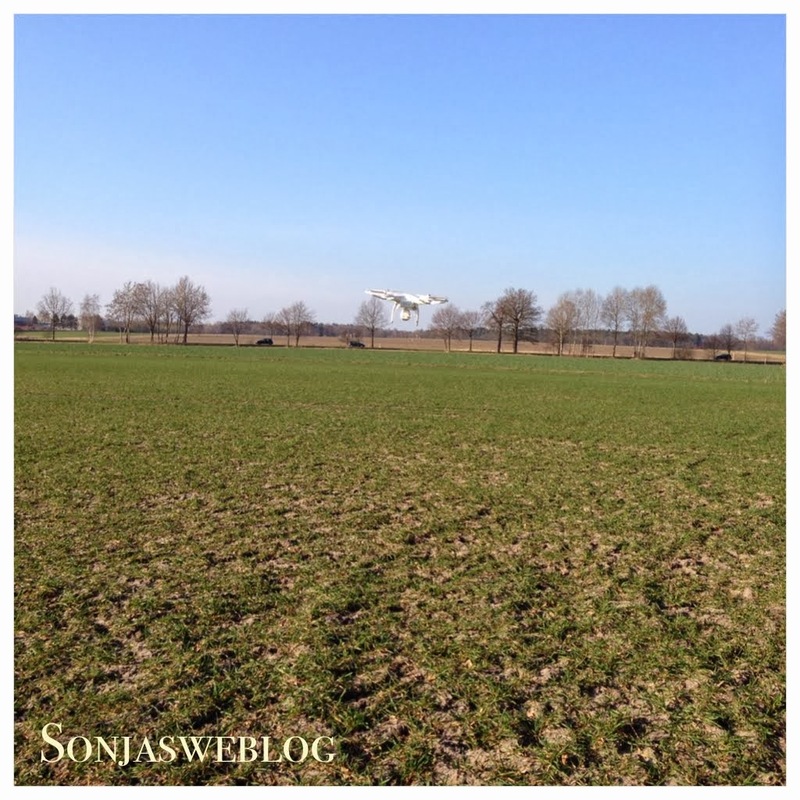 Our first flight was a bit of an adventure as you cannot see the little white quadcopter well against the bright sky when reaching 50 meters of hight. I'm also not used to estimate distances of flying objects, our little fellow always seemed to be too far away from us. The camera which is mounted underneath the body of the quadcopter was connected to our tablet. We could see the hight, distance and battery status and of course the field it was flying over. We trained starts and (soft) landings and how to use all the control instruments. 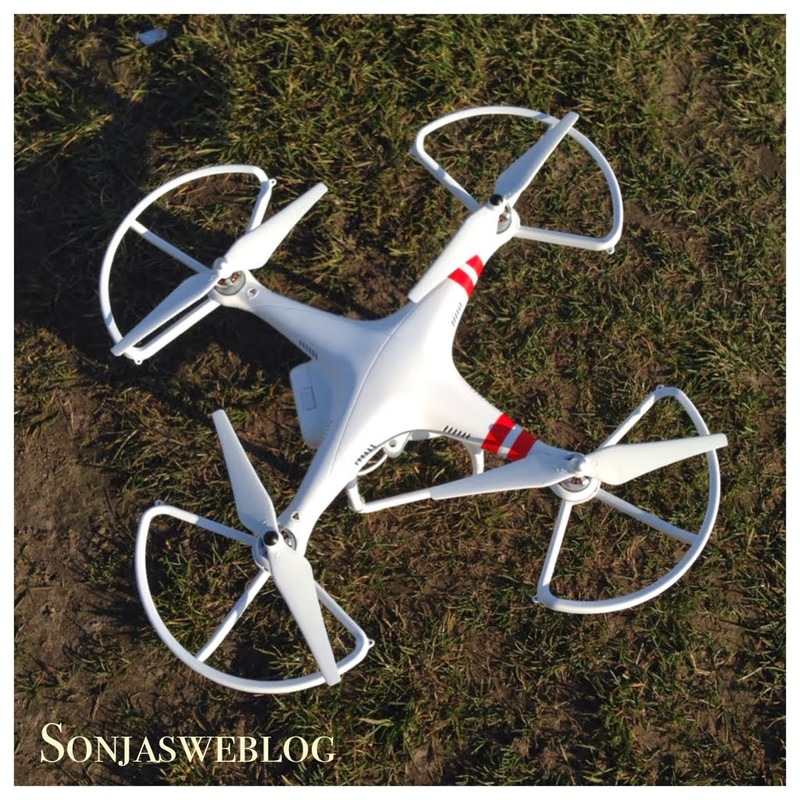 It was such fun, and I'm sure the people who are going to work with the quadcopter will love it too. 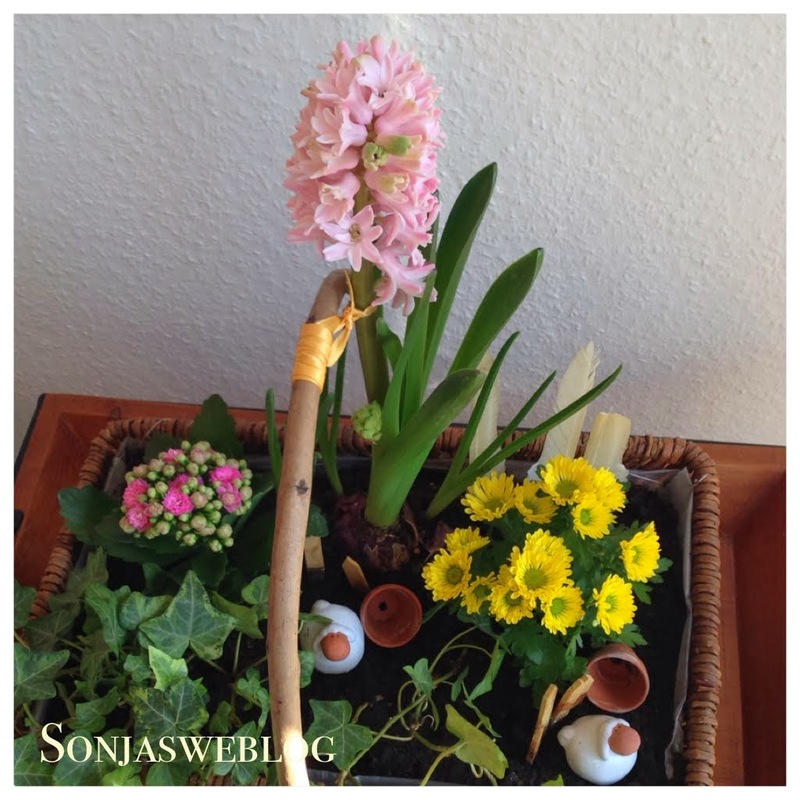 Coming back home I admired our spring basket with the pink hyacinth. It grew every day a few centimeters and got heavier too with all flowers opening almost at once. I tied it to the basket handle as the flowers touched the wall already. 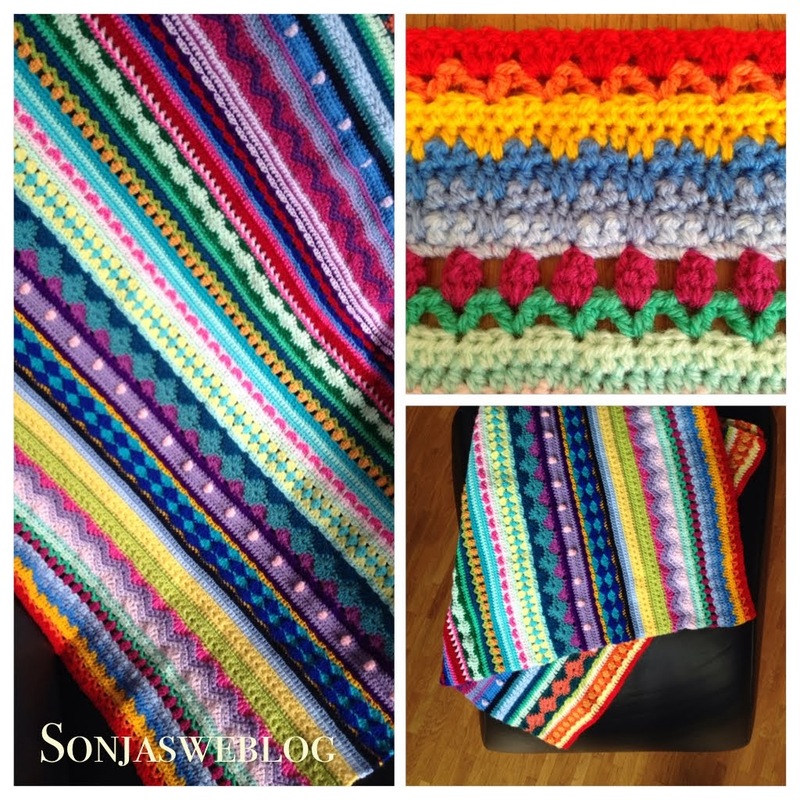 My mixed stripy blanket is growing too. I tried to balance the colours as I found the combinations so far a bit too much. Via ravelry I found out about random stripes and colour generators like this one here and even one for squares here. Amazing what is out there in the net! I have not used the generators though, but bookmarked them for future use. 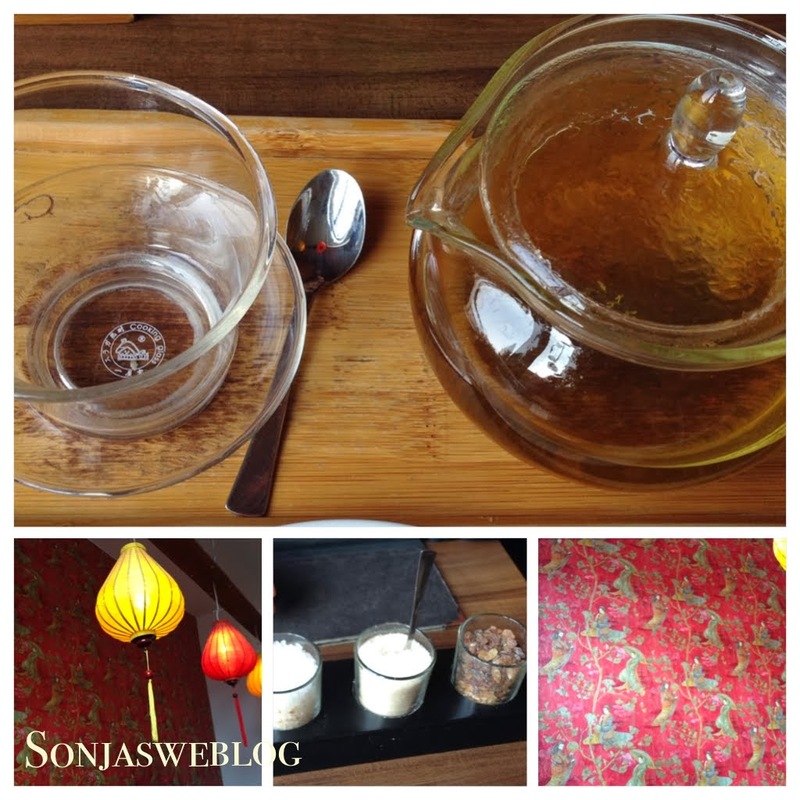 I visited a tea house the other day with my lovely friend U. It is a small shop where they sell tea and cakes. In a little room at the back of the shop you can also drink tea and eat yummy curries. It's been a long time since I sat in a tea house (in Frankfurt there used to be one a few years ago). In our region I didn't know any, and I was very surprised and pleased to find out about that place. Have to go there more often! The quadcopter looks very cool :-) And what a clever idea to use it to check the crops!! !